Could this tragic Globe bar shooting have been prevented and are justice and compensation available to the victims’ families? 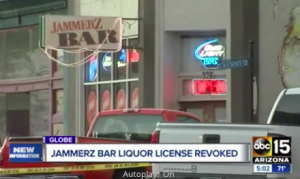 Security measures are in question following a deadly shooting inside Jammerz Sunday night, November 11, 2018, which claimed the lives of three people and left two others injured. According to AZ Central News, the gunman “was playing pool at the bar before opening fire just before 10:30 p.m.” Tragically, Ashley Sanchez, Daniel Albo and Cristi Licano succumbed to fatal injuries. Charlene Peak and Scott Mills suffered injuries. Their current conditions have not been released. How many trained employees were working inside the establishment at the time of the shooting? What security measures, such as weapons screenings, surveillance cameras, and security personnel were in place to deter crime and protect patrons at the time of the shooting? Generally, property owners are required to protect all those legally on the premises from any foreseeable harm. Should the facts of this matter reveal that the bar owner failed to provide adequate security to protect those on its premises, the families of Ashley Sanchez, Cristi Licano and Daniel Albo may seek justice and elect to pursue legal claims for their wrongful deaths. Additionally, Charlene Peak and Scott Mills may pursue legal claims for their injuries. We’ve Recovered Millions for Victims of Bar Security Negligence…Contact us Now for a Free Consultation.